The content on our pages is created with the greatest care. However, we cannot assume any guarantee or liability for the content’s correctness, completeness and topicality. As a service provider we are responsible for our own content published on this website according to Section 7 Para 1 TMG in accordance with general laws. However, pursuant to Sections 8 to 10 TMG we, as a service provider, are not obliged to monitor transmitted or stored third party information or to search for circumstances which point to illegal activities. Obligations to remove or block the use of information in terms of general laws remain unaffected hereof. A relevant liability is, however, only possible from the moment we become aware of an actual infringement. We will immediately remove such content once we become aware of corresponding infringements. Our offer includes links to external third-party websites which are outside our sphere of influence. Therefore, we cannot assume any guarantee for such third-party content. The relevant provider or operator of the linked pages is always responsible for the content. The linked pages are checked for possible legal infringements at the time the link was created. No illegal content was recognizable at the time the link was created. A permanent control of the content of the linked pages is, however, unreasonable without concrete indications of an infringement. As soon as infringements become known, we shall immediately remove such links. Content and works created by the site operator on these pages are subject to German copyright law. Duplication, processing, distribution and any kind of exploitation beyond the scope of copyright law require the written approval of the relevant author and/or creator. Downloads and copies of this page are only permitted for private and non-commercial use. As far as the content on this page was not created by the operator, any third-party copyright has been taken into consideration. In particular, third party content has been marked as such. Should you nevertheless become aware of a copyright infringement, please kindly notify us. As soon as infringements become known, we shall immediately remove such content. All material on this site, including graphs and texts, is owned by the company and may neither be reused nor republished without approval. We do not participate in a dispute settlement procedure before a consumer arbitration board and are not obliged to do so. Data protection is a matter of trust and your trust is important to us. We respect your privacy and personal sphere. The protection and lawful collection, processing and use of your personal data is therefore an important matter for us. In order to ensure that you feel secure when you visit our websites, we strictly observe the legal provisions when processing your personal data and would like to inform you here about our collection and use of your data. You can visit our site without providing any information about your person. We only store so-called “server log files”, i.e. access data without any reference to a specific person such as the name of your Internet provider, the Internet browser you use, the page from which you visit us, the date and time of your access or the name of the requested file. This data is evaluated exclusively in order to improve our offers and does not allow any conclusion to be drawn about your person. This anonymous data is stored separately from any personal data you may have provided and therefore does not enable any conclusions to be drawn about a particular person. This data is evaluated for statistical purposes so that we can optimise our internet site and our offers. The legal basis for the temporary storage of the data and the “server log files” is Art. 6 para. 1 (f) of the GDPR. The data is stored in log files in order to ensure the functionality of the website. The data is deleted as soon as it is no longer required to achieve the purpose of its collection. In the case of the collection of data for the provision of the website, this is the case when the respective session has ended. If you wish to make use of a service provided by our company via our website, it cannot be ruled out that the processing of personal data is required. If there is no legal basis for the processing of personal data, we will obtain the consent of the data subject for this purpose. This will be evident in appropriate locations. This may be necessary if you register on our website, request our newsletter or if you contact us through our contact form. The legal basis for processing operations for which we obtain your consent for processing purposes is based on Art. 6 I (a) of the GDPR. If the processing of personal data is necessary for the fulfilment or initiation of a contract (e.g. for the delivery of goods or the provision of such services or for enquiries about our products and services), the processing is carried out in accordance with Art. 6 I (b) of the GDPR. We store and use the personal data transmitted by you, such as the name, firm, address, E-mail and telephone, for the purposes of individual communication with you in accordance with the General Data Protection Regulation (GDPR) and the “Federal Data Protection Act (BDSG) new”. Please note that in general, no confidential information should be sent via the contact form. The legal basis for the processing of the data transmitted when an E-mail is sent is Art. 6 para. 1 (f) of the GDPR. If the objective of the E-mail contact is the conclusion of a contract, the additional legal basis for the processing is Art. 6 para. 1 (b) GDPR. This website uses functions of the web analysis service Google Analytics. The provider is Google Inc., 1600 Amphitheatre Parkway, Mountain View, CA 94043, USA. Google Analytics uses so-called “cookies”. These are text files that are stored on your computer and enable an analysis of your use of the website. The information generated by the cookie about your use of this website is transferred as a rule to a Google server in the USA and saved there. We use Google Analytics on our website with an IP anonymisation function. In this case, your IP address is shortened by Google within Member States of the European Union or in other contracting states of the European Economic Area Agreement and therefore made anonymous. If you do not agree to the storage and evaluation of this data about your visit, you can object to its storage and use at any time by clicking on it below. A so-called opt-out cookie will then be stored in your browser, which means that Matomo no longer collects any data about your visit whatsoever. Please note that if you delete the cookies in your browser settings, this may also result in Matomo’s opt-out cookie being deleted, which you may have to activate again. We use a so-called “Content Delivery Network” (CDN), offered by Fritz Managed IT GmbH, Oedenberger Str. 155, 90491 Nuremberg, Germany. A CDN is a service that delivers faster content from our online offer, especially large videos, regionally distributed and internet-connected servers. The processing of the data of the users takes place solely on the aforementioned purposes and the maintenance of the security and functionality of the CDN. It may happen that third-party content, such as videos from YouTube, map material from Google Maps, RSS feeds or graphics from other websites, are incorporated into our web pages. This always assumes that the providers of this content (hereafter referred to as “third-party providers”) are aware of the IP address of the users. The reason for this is that without the IP address, they could not send the content to the browser of the user concerned. The IP address is therefore required for the display of this content. We make every effort to use only such content whose respective providers use the IP address only for the delivery of the content. However, we have no influence on this if the third-party providers store the IP address, e.g. for statistical purposes. If we are aware of this, we inform the users about this. According to the General Data Protection Regulation (GDPR) you have the right to free information about your stored data. You also have the right to receive details of information for processing purposes, categories of the personal data which is being processed, recipients or categories of recipients to whom the personal data has been or will be disclosed (particularly in the case of recipients in third countries or international organisations), if possible the planned storage period of the personal data, a right to rectification, restriction (blocking) or deletion of this data, as well as the origin of the data. You also have the right of appeal to a supervisory authority. In addition, you have the right to revoke your declaration of consent under data protection law at any time. The revocation of consent will not affect the legality of the processing carried out on the basis of the consent until revocation. You have the right to receive the personal data which comes directly from you. Upon your explicit request, we will make this data available in a machine-readable and structured format. For this, proof of your identity is required. Your personal data is transmitted over the Internet in encrypted form using TLS. We secure our website and other systems by technical and organisational measures against loss, destruction, access, modification or the distribution of your data by unauthorised individuals. Access to your customer account is only possible after you have entered your personal password. You should always keep your access information confidential and close the browser window when you have finished communicating with us – especially if you use a public computer or share the computer with others. Your personal data will be deleted and restricted (blocked) after the purpose for which it is collected no longer applies, provided that it is no longer required for the fulfilment or initiation of the contract, taking into account retention periods based on laws and/or tax regulations. You can also download this text in PDF format. In order to view and print PDF files you need a PDF viewer, which you can download free of charge from Adobe Systems GmbH, for example. You can print the PDF file using Adobe Reader by selecting Print from the File menu. The letter X has become a symbol for innovative strength for NEUMAN & ESSER. Not only that the company NEA X GmbH was recently officially launched as the company’s fourth strategic business unit (SBU) in order to augment the NEA GROUP’s hardware products with intelligent digital software solutions. The X also symbolizes state-of-the-art product developments for the Mechanical Processing Technology SBU which contain so much innovative power that some patents have been registered for constructional modules. One of these, the classifier module, is borne by the trendsetting Impact Classifier Mill ICX, used for eXtra fine and eXtrahigh throughput applications. To-date it has provided sensational results for our grinding experiments with carbon black, activated carbon, bentonite and talc powder. The new compressor construction type 560hs doesn’t have the supplement X, but is no less innovative. Originally designed for the North American midstream gas market, this model convinces with its compact, robust design and primarily its capacity. 10,000 BHP actuating power at 126,000 LBS API rod force is the key data for this high-speed compressor. Due to these outstanding properties, it will certainly also be used for other applications outside of North America. Our article about the strategic orientation of the customer service for HOFER products demonstrates that no customer is left alone. Three phases show how NEAC Compressor Service integrates the care of HOFER systems in its own course of business and establishes an internal service department in Mülheim. The sealing element experts in Stassfurt are also ready for action. STASSKOL is currently working on a tool concept for manufacturing longer semifinished parts from hot-pressed materials – a response to the increased demand for bushings with top requirements. With its several additions and strategic orientation, the NEA GROUP’s existing corporate design no longer reflected the current corporate structure. So, you can look forward to our new appearance, which merges the logo and business units. That also contains considerable innovative strength. We hope you enjoy reading this edition! Designed for the worldwide natural gas market, it serves all major gas-related applications such as gas processing and transportation, gas storage and gas boosting. The shorter stroke combined with a higher rod load, makes it a perfect for air separation, also the technical gas market. NEUMAN & ESSER has a high-speed compressor tradition. In 2000, NEA developed the initial high-speed machine in this series, the 320hs, for natural gas storage. However, this model soon also demonstrated its strengths for further gas applications up to the compression of H2 mix gases. 10 years later, NEA USA successfully entered the midstream gas market and since then has been able to secure large orders for natural gas and CO2 applications, such as for “Enhanced Oil Recovery”. The Texan colleagues always followed the development of the North American natural gas market. According to the EIA, gas conveyance will grow steadily. The entire natural gas industry is therefore called on to improve its technology with regard to efficiency and zero emission in order to support this growth. As a consequence, larger gas engine drivers will be demanded with compressors capable of handling increased loads. NEA‘s response to this is its new compressor frame 560hs, developed for electric and gas engines of up to 10,000 BHP at up to 1,200 RPM. Its construction criteria were established by an in-house expert committee, combining the high art of German and Texan engineering while continuously interacting with customers and suppliers. The team recognized the necessity to develop a compact compressor with high rod load capabilities to pair easily with the larger engines used in this industry. For this purpose, the crankshaft, main bearing, crosshead and piston rod were taken over from a proven crankcase. Together with a robust cast iron crankcase, these features enable the new construction type 560hs to implement higher gas and inertia forces. The list of its further advantages is long and impressive. Thus, the 560hs will have the typical feature of a one-piece frame casting including crosshead. Since alignment is essential for the packaging process, the crankcase ensures a true perpendicularity and flatness in reference to the feet and main bearing journals. Hydraulic bolting has already been a standard feature for several decades. And, the 560hs is no different. This system improves joint strength, ease of maintenance and, most important, safety. It also simplifies assembly at high preload forces. The combination of precision and easy assembly guarantees unlimited operational reliability for thousands of hours. It is no secret that compact design saves costs. Therefore, the foot mounts for skid installation were subject to a redesign and all the dimensions rethought. Thus, the 4-crank frame with cylinders and distance pieces enables transportation without special road permits. “The introduction of the 560hs reflects the NEA GROUP’s ability to implement a constructive medium to high-speed compressor solution with outstanding features at short notice. And, it proves that reliability of a new model starts with a robust design”, Scott DeBaldo, President of NEA USA, is happy to state. After the takeover of Andreas Hofer Hochdrucktechnik in Nov. 2015, NEAC Compressor Service in Übach-Palenberg assumed customer care of the HOFER machine population in April 2016. For Managing Director Bernd Wagner and his team, this meant drawing up an international business plan in phases. The major tasks which NEAC has in different phases are to identify all machines, customers and contact persons based on several customer and reference lists, to update the CRM system used worldwide by all NEACs and to integrate the data in the NEA GROUP SAP system via the interfaces. As for its existing customers, NEAC now follows the course of depicting all data regarding machine history, engineering and commerce in the internal business processes for HOFER customers. A great deal of work! In Phase 1, intense training and therefore qualification of the NEAC staff in Germany for the new product diaphragm compressor was the top priority. 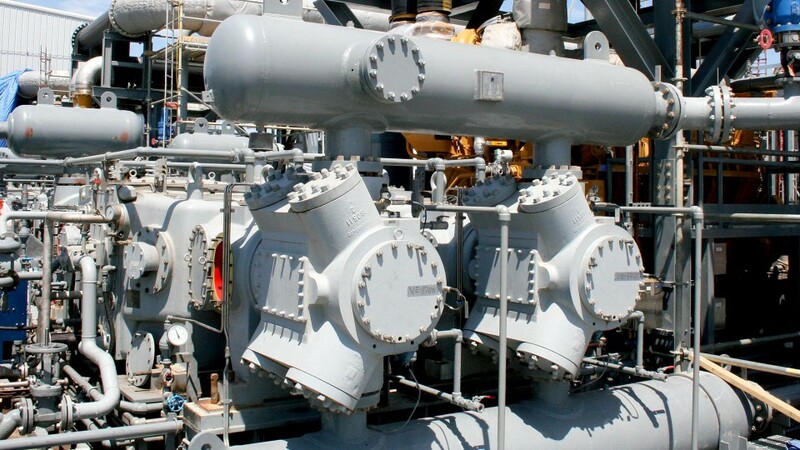 Although diaphragm compressors belong to the displacement devices, they are not part of the reciprocating machines. During training, one of the key areas of focus was on regulation between the hydraulics and gas systems. Also, the decision was taken that the commissioning made by HOFER will be successively transferred to NEAC staff. This specifically resulted in employing mechatronics engineers. Phase 2 stands for international roll-out at four further NEACs. Thus, NEA Gulf, NEAC USA, NEA India and NEAC Italia were incorporated into the HOFER service business. This took place using closest coordination with new machine sales. The special highlight there was the evaluation of HOFER’s current international agents and their comparison with the NEA GROUP agent network. The respective local NEA GROUP Managing Directors and the HOFER management were very intensely involved. 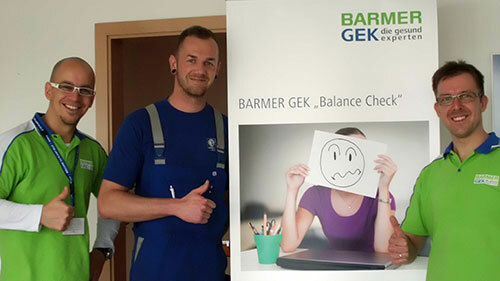 Therefore, the international service technicians, managed by Stefan Damberg and Norbert Janßen were already introduced to the depths of the new technology in February this year. In April, the former NEAC Product Manager Stefan Damberg moved to HOFER in order to further expand the service department there with more staff. No sooner said than done. The major focus is on repairs and the fast delivery of spare parts from Mülheim. Currently, Bernd Wagner is working on the release of Phase 3, which plans an extension of the roll-out at NEAC South East Asia. Therefore, at the beginning of 2018 Waldemar Lutz from Thailand as well as a new service technician from Taiwan will be trained at HOFER. The start-up of service business for HOFER in South East Asia will be in Nov. 2018. Customers, in particular from the area of industrial gases, are now increasingly approaching NEAC with service inquiries. Several customers wanted their diaphragm compressors to be incorporated into existing European or global framework agreements – really positive feedback from the market after one-and-a-half years’ service work by NEAC for HOFER. NEAC sees further potential and challenges to make HOFER customers even happier. To-date, the integration of HOFER service in the NEAC business has been much welcomed and received positively by the customers. In the mid- to long-term, NEAC will give consideration to HOFER products as to how the machines can be monitored using digitalization and analysis. Currently, a pilot project is running for this purpose. The data is synchronized in a cloud, thus providing the customer direct access to technical information and service reports. NEAC will equip the Training Center with a complete HOFER TKH compressor next year, enabling the implementation of authentic training of own employees and customers alike. Soot – or carbon black as industrial soot is called – is virtually pure carbon. Its industrial use in tires, rubber and plastic products, paints and coatings poses high requirements of its properties such as its specific surface, particle size and distribution, conductivity and color. Measured on the basis of the quantities manufactured, carbon black is one of the most important pigments in the chemicals industry worldwide. Current global production is some 14 million tons with a strong growth trend. Moreover, the efficient grinding of carbon black is significantly gaining in importance due to the recycling of old tires because the manufacturing of industrial soot is very resource and energy intense. 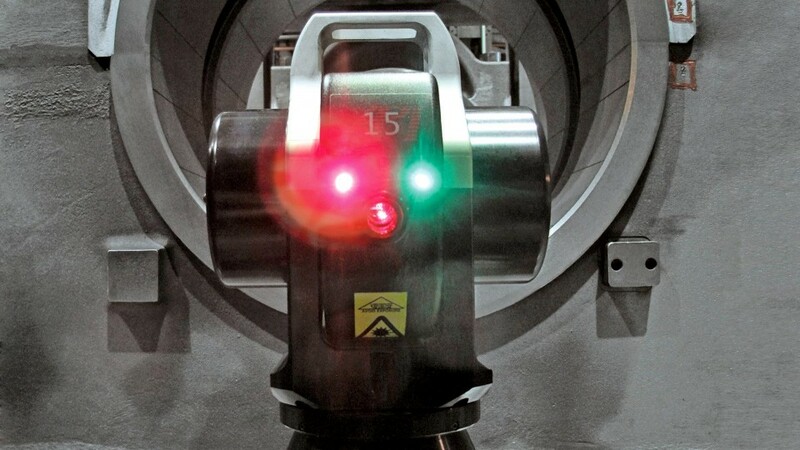 NEUMAN & ESSER Mahl- und Sichtsysteme has brought a new, impressive solution for a highly sophisticated grinding onto the market: the impact classifier mill ICX. It is particularly interesting for fine or impact resistant products. The ICX achieves a throughput of up to 20,000 kg per hour with a max. particle size of 5 to 50 μm. It works extremely economically by intelligently connecting extra-high grinding intensity with efficient classification. 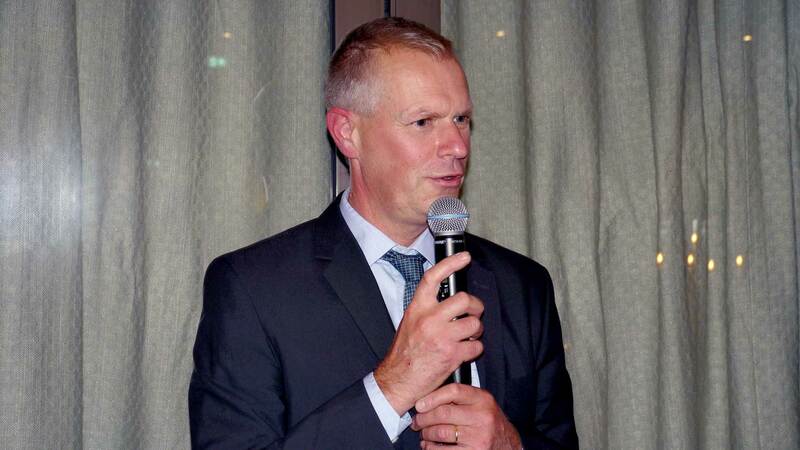 “In part, we have been able to halve energy requirements here”, as Marc Giersemehl explains further. That naturally also convinces the customers. NEA Mahl- und Sichtsysteme has already delivered several ICX mills. In the meantime, an ICX 630 has been installed at the NEA Test Center and is available there for grinding tests. Further areas of application for the ICX include pigments such as iron oxide, titanium dioxide or ultramarine, and foodstuffs such as sugar, nut and leguminous plant shells. Also materials that are difficult to grind like waxes or E-PVC belong to the additional fields of implementation. High-quality sealing material is essential for reliable wearing parts in reciprocating compressors such as piston and guide rings. The sealing components’ plastic materials are specifically tailored to the respective application. In addition to the material composition, the manufacturing process also plays a decisive role. The knowledge of the compositions and parameters required for manufacturing the plastic raw components constitutes part of STASSKOL’s strategic know-how. The manufacturing of these semifinished products, the so-called bushings, takes place in several steps. Firstly, mixing the base powder. This initial mix is then compressed under high pressure using large presses. In order to give the semifinished products the correct shape, the pressing process takes place between an inner and an outer steel ring, the so-called pressing tools. After pressing, a sintering process takes place in a furnace. The manufacturing of sealing materials for top requirements is always a special challenge. One well-known example of this is the material SK801, which enables the compression of dry gases in non-lubricated compressors. To achieve the required material properties, the bushing is compressed whilst cooling down after being sintered in the furnace under high pressure. This process is called hot pressing. For this, the pressing tools remain on the semifinished products during the entire sintering process and the following pressing process. Therefore, special requirements are made of the pressing tools regarding heat and corrosion resistance. The long residence time in the sinter furnace also results in a tool being blocked for several hours when manufacturing a semifinished product and it therefore not being available for use to manufacture further bushings. In addition to the limited number of presses, this is a decisive factor in determining the capacity for manufacturing hot pressed materials. As a result of the worldwide increased market penetration of STASSKOL products, overall material requirements have increased significantly. Here, primarily the STASSKOL, Inc. subsidiary in Katy, Texas, which opened two years ago, and serves the US market, plays an important role. Nonetheless, in order to ensure acceptable delivery periods, an increased pressing capacity became necessary. Our solution: manufacturing higher bushings in the same time. For this, higher pressing tools are needed. The investment has multiple immediate positive effects. Per pressing process, some 50 percent more material is manufactured. Thus, the capacity will be increased and that with constant good quality. Due to the mechanical processing of longer plastic bushings, the number of clamping procedures required is reduced. The implementation of the tool concept is a higher investment because higher tools including accessories are required for a variety of internal and external diameters of the semifinished products. Furthermore, alteration of the pressing devices to longer pressing routes is necessary. In advance, thorough analysis was made as to from which semifinished product diameter the investment pays off. The transition to the new concept will be concluded for selected dimensions at the beginning of December 2017. 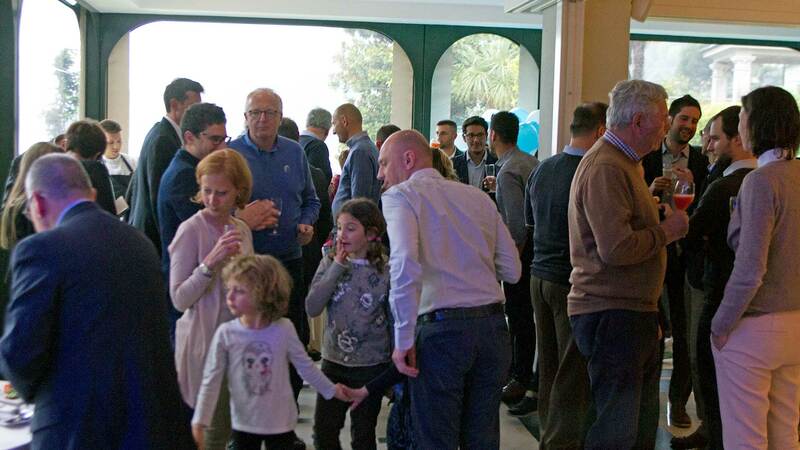 April 27 was a big day for NEUMAN & ESSER Italia Srl, because the company celebrated its silver anniversary on this day with all its employees and their families and shareholders. 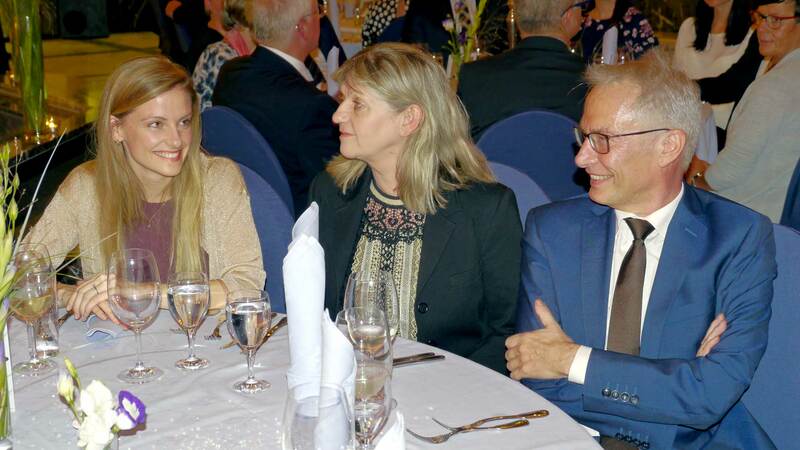 Klaus Peters, NEA Italia founder and guest of honor, as well as all Peters family and Board members, participated in the event. 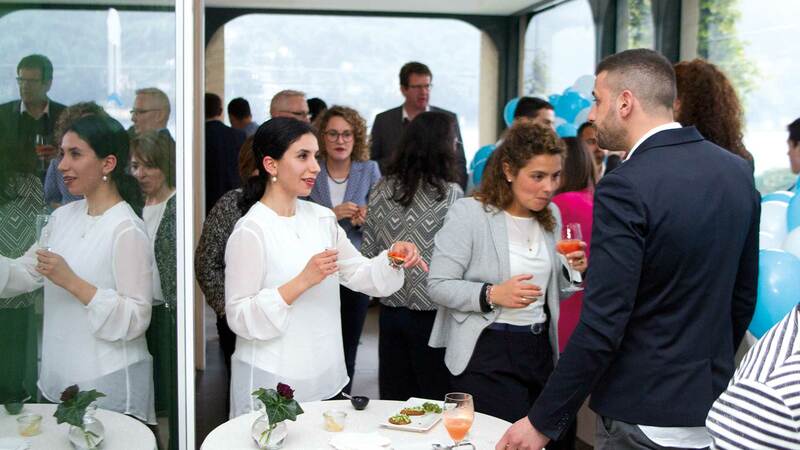 Lake Como, with its idyllic scenery, provided the appropriate framework for the diverse day program. 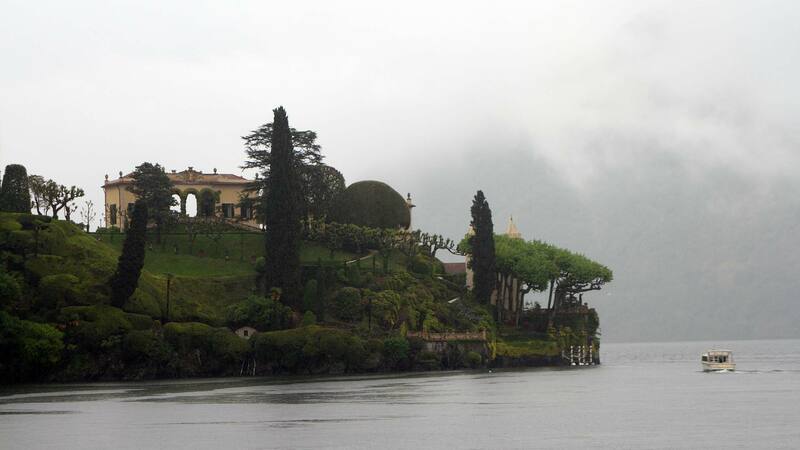 The highlights included a boat tour and a lakeside dinner. 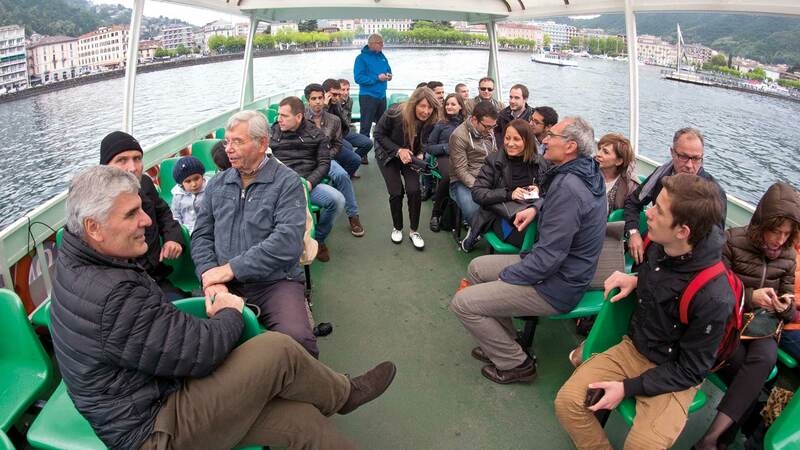 The boat was specially chartered for NEA Italia’s guests. It set sail from Como, calling port around the prettiest historical coastal towns as described by Alessandro Manzoni in the literary work “The Engaged”. The dismal weather didn’t deter the boat’s crew from conducting a sightseeing tour. 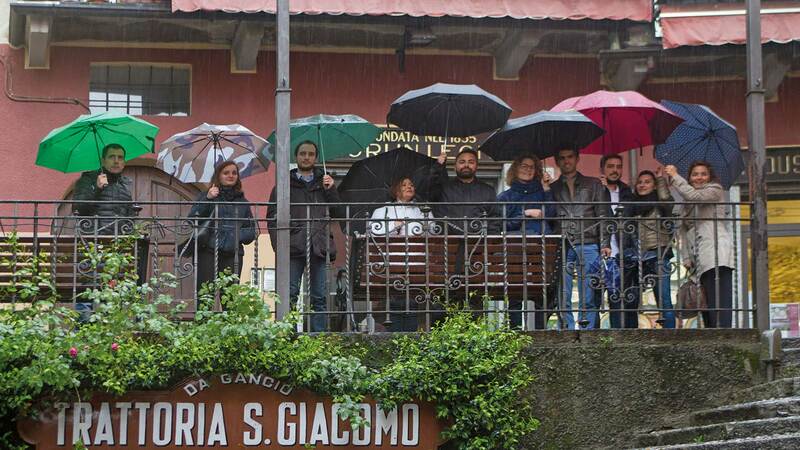 Some of the guests enjoyed a relaxed stroll around Bellagio with its beautiful shops, whilst others relished the conviviality of the oldest pub in the region. The atmosphere amongst all couldn’t be topped, also thanks to the committed travel guide who explained a lot of the region’s history. 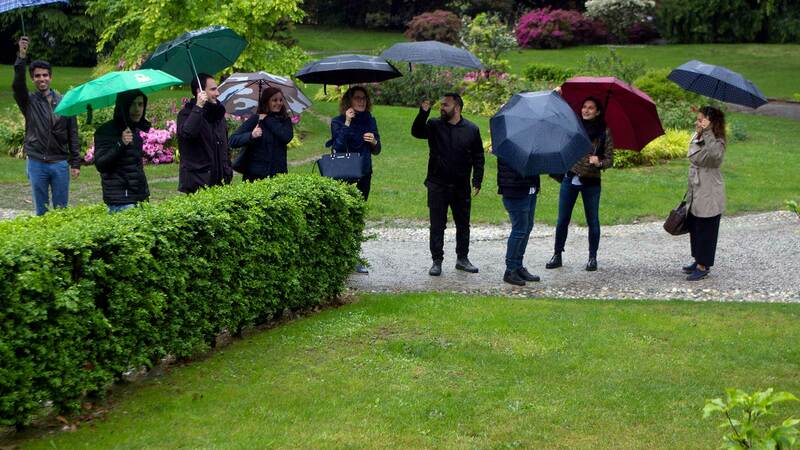 Part two of the program took place in Moltrasio. A sumptuous dinner awaited the guests in the Imperialino, one of the most sophisticated locations in the proximity of Como. The 500 blue and white balloons which the Italians let fly on the occasion of their anniversary were illuminated all the more in front of a backdrop as gray as an alley cat. 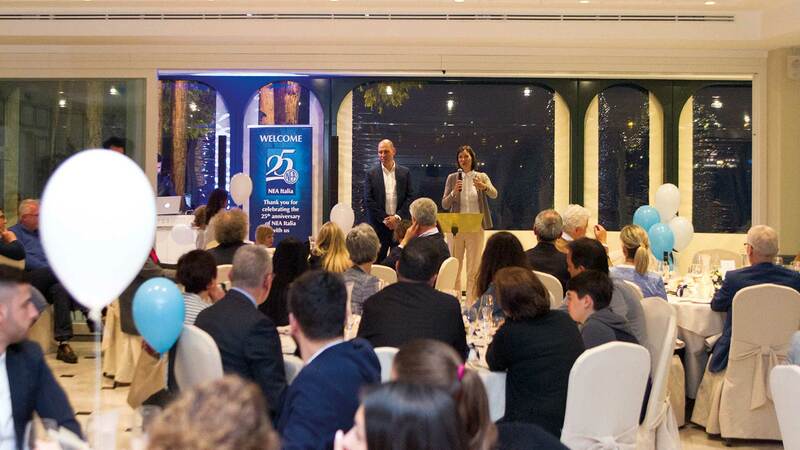 After dinner, Stefanie and Alexander Peters rose to speak and summarized the chronicle of NEA Italia. NEUMAN & ESSER already served its customers in Italy before 1992 via a close partnership with “AZETA S.A.R.L Costruzione Macchine Utensili Rappresentanze Tecniche Industriali”. Then, in 1983, NEUMAN & ESSER purchased 80% of the AZETA shares and introduced a new division of responsibility. 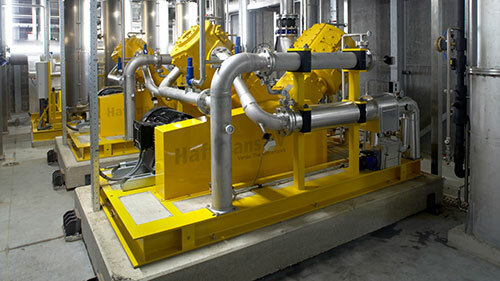 Whilst the bare compressor was built in Germany, the local company was responsible for its engineering and procurement of the system components. That saved transport costs and customs duties. 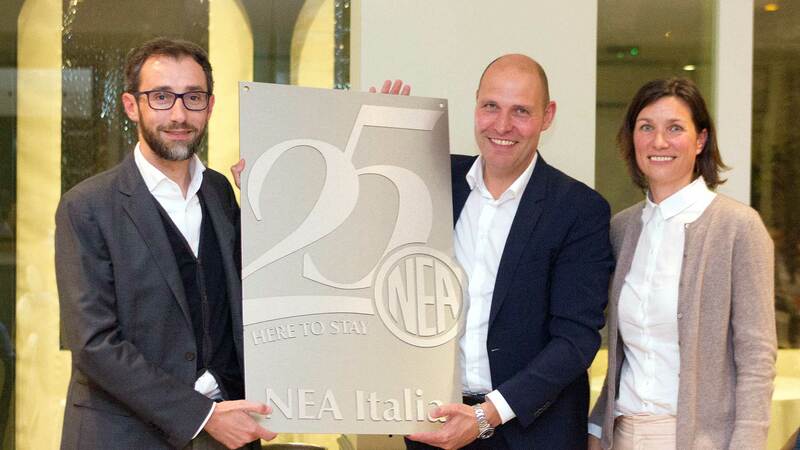 This success moved Managing Director Klaus Peters to found NEUMAN & ESSER Italia Srl on Jan. 1, 1992 as the NEA GROUP‘s first Sales & Application Center, the initial milestone of the decentralization process for today’s company group. 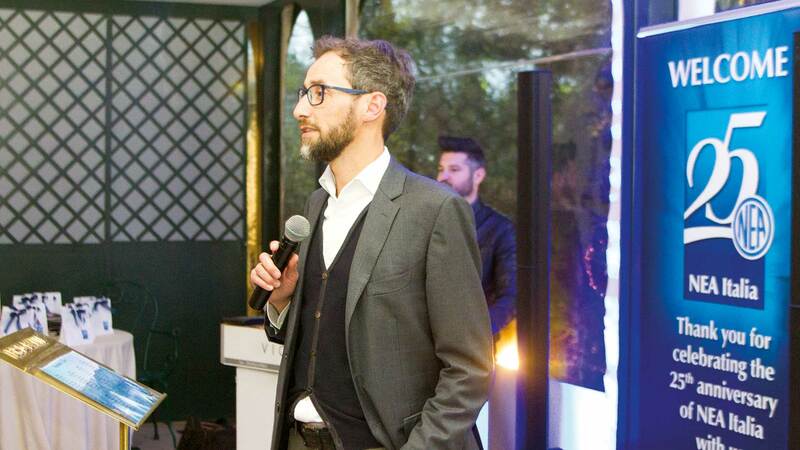 Today’s Managing Director, Carlo Terragni, described the company’s successful development, which currently has 27 employees and customers in South Europe, North Africa and the Middle-East. He ended his speech with a highly promising outlook for the workforce, based on the contents of the pioneering “Strategy 2020”. When a company’s strategic orientation develops, as recently at NEUMAN & ESSER, it should also be reflected by its corporate design or external appearance. The NEA GROUP logo with its logo box was a symbol for the international company group’s structure with its Holdings, Sales & Application companies, Production Works and Service Centers as well as a hallmark for the premium quality of its products and services for almost 20 years. However, at the latest with the foundation of the new company NEA X GmbH in July 2017, headquartered in Aachen, the awakening of NEUMAN & ESSER in a new era is clear. This new, fourth strategic business unit (SBU) has the task of augmenting the hardware products from the three other SBUs, Compressor Technology including Compressor Service, Mechanical Processing Technology and Sealing Technology with intelligent digital software solutions. Therefore, the redesign of the logo should fulfill several requirements. Thus, each SBU will receive its own logo in order to separate the business units clearly, however without replacing existing company logos. This means that the companies STASSKOL, HOFER and also NEA X will retain their existing appearance. Should additional market opportunities bring about the establishment of a further SBU, it must be possible to playfully extend the new logo. And last not least it is true that: “less is more”. The fewer elements the logo consists of, the easier its application on all advertising media. In order to meet all requirements, a logo redesign was developed which captivates with its new color scheme and clarity. The “key visual”, the circle with the typical NEA symbol which is embedded in five color progressions for marking the corresponding area, remains unchanged. And something else changes, the corporate font. For several years, the “Zapf Humanist” font has accompanied the GROUP logo with the boxes, we will now use “Avenir”, which provides the special advantage of offering more design options. The 20th POWTECH in Nuremberg in September for NEA Mahl- und Sichtsysteme was one of the most successful trade shows. No surprise because the millers were perfectly prepared. The harmoniously designed trade fair booth with its exhibits and new media technology proved to be a genuine crowd-puller. Thus, primarily the new NEA GRC Guide Ring Classifier with the classifier gap to the classifier wheel attracted several interested people who took long waiting periods at the booth into account in order to collect technical details about this innovation. 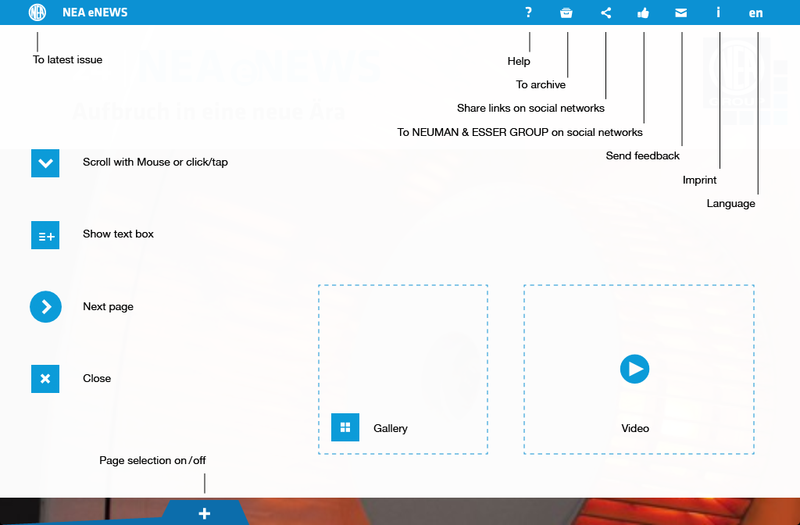 Those who wished to inform themselves comprehensively used the 70-inch touchscreen and let themselves be intuitively guided through the product portfolio with the 3D animations from NEUMAN & ESSER. As the next trade fair for powder and bulk solids technology will not be held earlier than 2019, Managing Director Manfred Salgert knows how to make use of the time until then: “We have initiated so many patents, we simply must present them to our customers next year at a NEA Milling Day”. The sister company STASSKOL also presented itself as modern and innovative at the POWTECH. 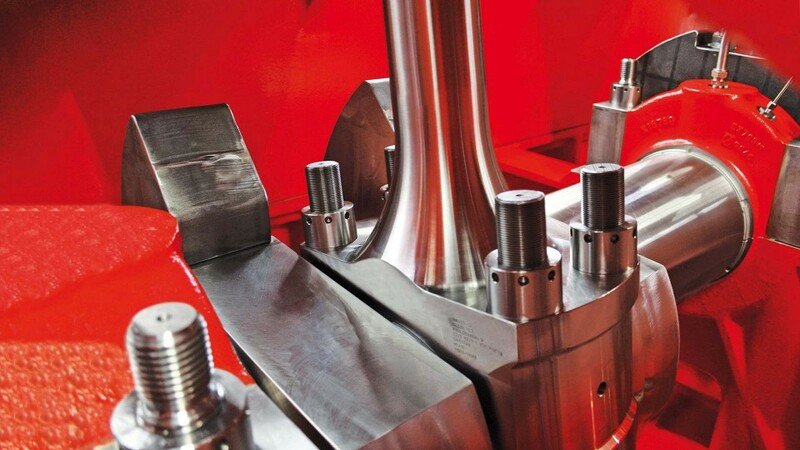 Focusing on the new developed shaft seal SDP500 to seal mixers in vertical installations, the expert for sealing elements convinced the interested world of experts for rotation systems. Exposição Internacional de Mineração is the official name of the EXPOSIBRAM. The trade fair for the mineral-processing industry is held every two years in Brazil’s Belo Horizonte, not far away from the NEUMAN & ESSER Sistemas de Moagem e Classificação location. From Sept. 18 to 21, 2017, the 17th EXPOSIBRAM with more than 400 exhibitors attracted in excess of 45,000 visitors from all over Latin America to the exhibition halls. Compared with the previous trade fair in 2015, the number of visitors to the NEA booth almost doubled. Most of them had highly specific questions regarding the most varied applications and possible projects. “Our continent boasts many mineral resources. Therefore, the requirements for our competitive solutions and customer-specific grinding and classifying systems are accordingly healthy”, as Leandro Noronha, sales employee at NEA Sistemas de Moagem e Classificação explains. “More and more frequently, the trade fair visitors also ask about more efficient systems with low energy and servicing costs. Of course, we can score there!”, he adds proudly. In September, the Hydrogen + Fuel Cells trade fair was held for the first time in Las Vegas. It took place parallel to the Solar Power International, North America’s largest solar trade fair and North America’s biggest energy storage event, the Energy Storage International. 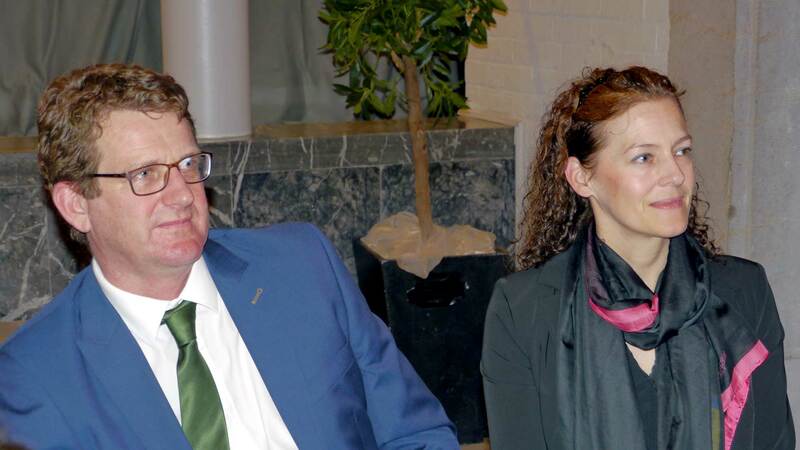 For HOFER Sales Manager Oliver Spanner, it was nonetheless not a complete novelty: “The area Hydrogen + Fuel Cells has been represented at the Hanover Trade Fair for more than twenty years. Here in Las Vegas we certainly benefit from numerous synergy effects with the solar and energy storage industry”. Therefore, the NEA USA employees were able to meet several interested parties and companies and the HOFER colleagues were primarily able to take new ideas back home to Germany. The comprehensive topics were hydrogen production and transport, fuel cell systems, components and applications. The Gas Machinery Conference (GMC) was held in Pittsburgh, Pennsylvania for this past fall. Pittsburgh was selected by the GMC committee due to its central location to the discovered and developing shale gas fracking finds throughout the Northeast of the United States and Canada. 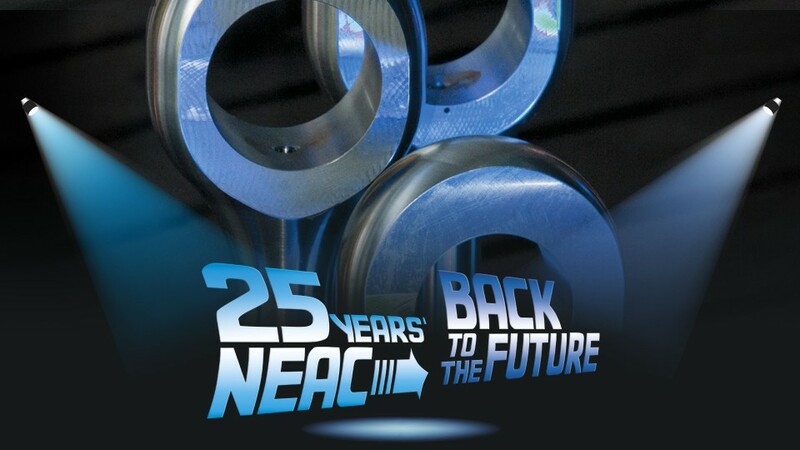 Attending GMC was NEUMAN & ESSER USA, Inc. (NEA USA) and NEAC Compressor Service (NEAC USA). During the event, NEA USA presented and introduced NEA GROUP’s latest compressor development, the 560hs, which targets speeds from 600 to 1,200 RPM with up to 10,000 BHP. Scott DeBaldo, President, and Joseph Lesak, Key Account Manager, presented the 560hs with a new video and technical information to a room of 200+ attendees. Additionally, the display in the exhibit area had a large banner that highlighted the key features of the 560hs. NEA and NEAC USA left the event excited from the customer feedback and will continue to focus on higher spec and engineered applications in the midstream market with its new 560hs high-speed compressor model. For CAD and SAP work processes, the NEA GROUP follows the principle of the “Single Source of Truth”, in German phrased as the sole source of the truth. This principle says that a database always exists, and its content is reliable. The Single Source of Truth was also the topic of the one-week international CAD Key User Meeting in October at NEA Deutschland in Übach-Palenberg. 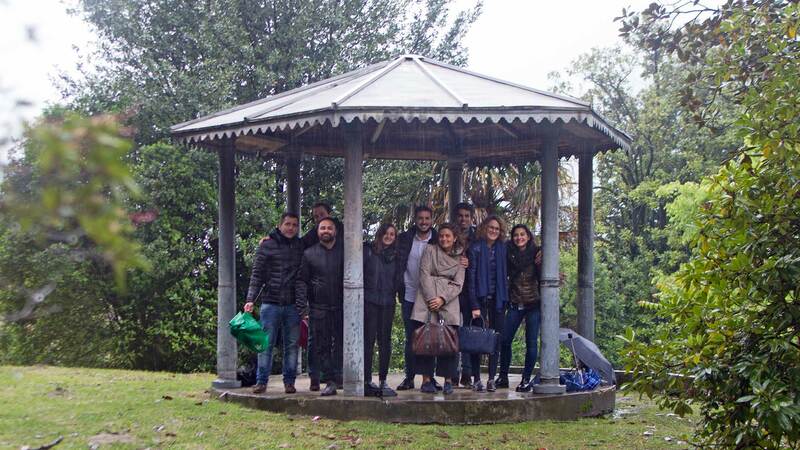 The colleagues from Brazil, the USA and India internalized the CAD/SAP operating mode in detail as well as the NEA philosophy based on practical examples. The focus here was on NEA GROUP projects across all locations. The overall CAD/SAP interface process begins with maintenance of the technical attributes in the engineering database, in order to generate reports and lists from it. Following this, the users apply these attributes and functions further in the 3D modelling of the system components because data generated once can be used several times over – for example for thermal calculation or pulsation studies. At the end of the event, Mike Gorgas and Rüdiger Schaaf presented an outlook into the future operational mode for handover of the technical data to the SAP-ERP system. Emilia Hollmann is 27 years old and works at the NEA headquarters in Übach-Palenberg. She has completed a dual training program at NEUMAN & ESSER – that is to say in addition to her company training she has also graduated as a Bachelor of Arts from a University of Applied Sciences. In 2014, Emilia Hollmann began her career at NEA Deutschland in Series Compressor Sales. Parallel to this, she studied Business Psychology for two years, completing her Master of Arts. What did you like particularly about the further training? My extra-occupational Master of Arts provided a close interlinking of theory and practice. We discussed several topics based on concrete applications. I particularly enjoyed exchanging with fellow students. Our course was diverse, resulting in several different prospects. What personal changes have you undergone as a result of the further training? Business psychology treats human experience, action and decisions in economic procedures. Studying business psychology not only imparts pure expert knowledge, but also trains personal competence and soft skills. That is naturally highly relevant in sales. However, it influences perception as a whole, that is true both at vocational and private levels. How does what you have learnt help in everyday job life? In additional to technical advice for our complex products, interpersonal action is decisive. Knowledge from my studies is helpful to the extent that it has provided me with a feeling for customer requirements outside the technical context. And, during my period at NEA Beijing, I was given the opportunity to attend soft skills training with our local Chinese colleagues. That was really exciting. Thanks to the right team, seedlings have grown to become robust and self-confident locations in India and the UAE. In both cases, the foundation of these companies in 2002 was closely connected with the protagonists Shankar Chattopadyay and Emad Tabaza, who still manages the NEA Gulf business successfully today. Courage, mercantilism and trust from the entrepreneurial Peters family were decisive criteria for shaping a local company effectively. In the meantime, 60 employees work at the location of Pune in India under the management of Atul Agarwal and Satishkumar Puduru. A powerful team offers sales, engineering, service, repairs and packaging from our own location. The Board of both companies travels to Pune on the occasion of the DIWALI festival each year, in order to attend the Board Meeting, but also to celebrate with the families, to honor employees of several years’ standing and to discuss the strategy for the future. In October, Arun Iyer – one of the NEA India’s very first employees – retired after 15 years. NEUMAN & ESSER expresses its heartfelt thanks! NEA Gulf has enjoyed strong growth during the past few years and established repair shops both in Dubai and Saudi Arabia, where repairs and overhauls are carried out at short notice, using the established know-how. With a total of 25 employees, NEA Gulf focuses in particular on the service business. 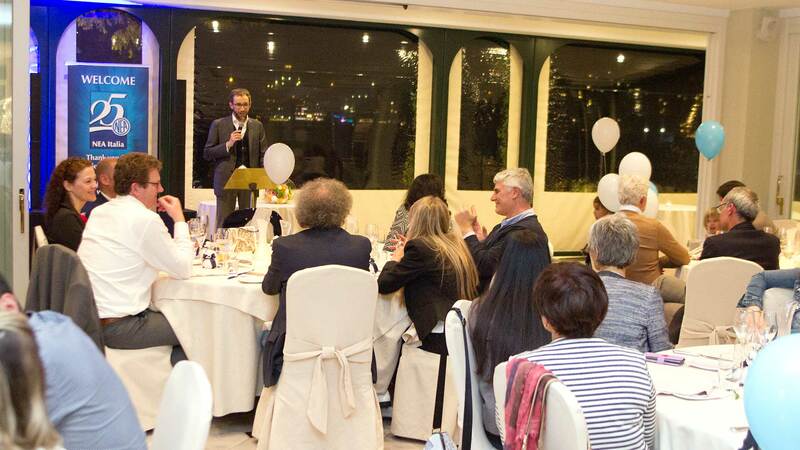 In the meantime, it is considered good custom that the Board honors the employees of many years’ standing during the course of a dinner, which took place at the Crowne Plaza Hotel’s Sakura Restaurant this year, and draws the year to a close with positive discussions. Here, short anecdotes from the business year and tomorrow’s visions should not be forgotten. This was originally rhymed by the poet and painter Joachim Ringelnatz (1883-1934), born in Wurzen. The Ringelnatz run, which the Wurzen colleagues participated in, is named after him. On the occasion of Ringelnatz’ birthday, the Improvements Club “The Town Modifiers” already hosted the run through the streets of the town for the 7th time. “Such a bustle of little and big on the marketplace would certainly have pleased Joachim Ringelnatz”, as Wilfried Römling, who assumed responsibility for the organization’s employees, comments. Respectively four sportspersons tackled the 5 and 10 km distances whilst the youngest NEA runner Finn Dubiel achieved an excellent 4th place in the 600 m race. The Wurzen public was more than generous with its applause and delightedly everyone who met the target received the smart finishers’ medal and certificate. Everyone agrees to compete again next year. Maybe then more NEA runners will lace their boots and follow the footsteps of Joachim Ringelnatz through Wurzen’s Old Town. The Aachen event, where the runners from the headquarters had registered, was considerably larger. A total of 7,000 sports enthusiasts from some 500 companies participated in the 6th Aachen company run, more than 30 of whom were from the NEA Übach-Palenberg headquarters. Some employees prepared for the company run for weeks and months. 12 runners were registered for the 10 km team, for the 5 km team even 19 employees. Despite a few cancellations, the mood was very positive. The NEA runners were able to achieve excellent results, above all the 5 km team managed a fantastic 18th place in the mixed overall ranking. The round thing must go into the rectangular thing! This is also valid for the newly founded Andreas Hofer Hochdrucktechnik company soccer team. After just a few training sessions, the team faced a challenge at a Mülheim Fußballclub SC Croatia tournament. A total of 12 teams battled for the title at the sports complex Moritzstraße in Mülheim/Ruhr on July 8, 2017. The HOFER team convinced with its strong performance. Tactics and the attitude were perfect, but, weakened by injuries, the team was unable to win any matches. So, we only won the honorable wooden spoon. Thanks to the most attractive jerseys and numerous and exemplary support from several fans, consisting of employees, friends and the family, the team was nonetheless good enough for a title. Congratulations to the tournament winners! However, one thing is certain: next year, HOFER will win! Splendid Indian summer weather was bestowed upon the 20 “NEA Pistons” from Übach-Palenberg, Aachen, Düsseldorf, Cologne and Siegburg for the 25th anniversary tour. It started on the morning of October 14 with a hearty breakfast in Schwammenaul in the Eifel region, where also some lovers of vintage cars were encountered this time round. 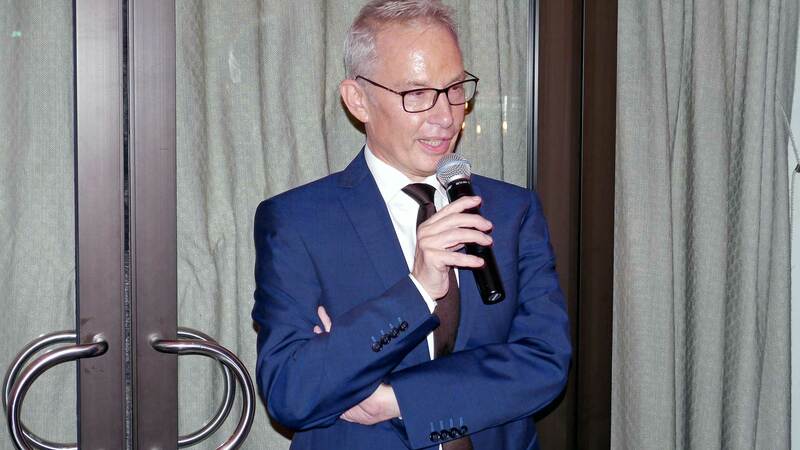 Franz-Josef Ritzen: Back then when I started at NEA aged 26, it felt like Klaus Peters, Managing Partner then, was almost twice my age. I’ve now caught up; there’s only 20 years between us. Unfortunately. 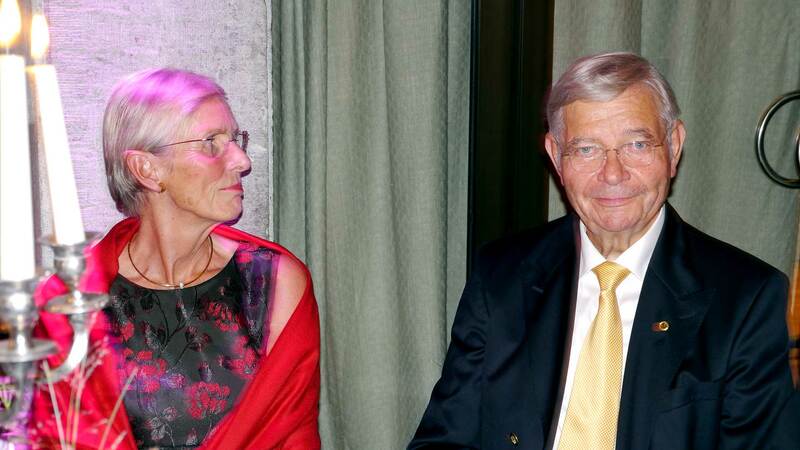 Franz-Josef Ritzen: Right from the start, he granted me a great scope in all decisions. He already had done just the same with Stefanie and Alexander before passing on the baton. All the more later. A promise is a promise! The chemistry between us was also right when on business trips. Not a single minute was boring with him. We took long distance journeys together over a period of at least 25 years. With some eight trips per year and an average of 10,000 km per trip, that comes to 50 times round the equator. So, it provided plenty of time to get to know each other well. Klaus Peters: During our periods together on trips in the evenings, we recapitulated the impressions gained from business meetings and drew common conclusions whilst also learning from these experiences. We then started customer meetings the next day with the same expectations. However, after finishing work, life should also be fun. Employees must enjoy travelling! Franz-Josef Ritzen: I particularly appreciate his reliability and farsightedness in what he says and does. He always hits the mark with his opinions about markets, countries and products. Just as for meeting when we flew-in from different directions. Klaus Peters was always at the agreed meeting point punctually. 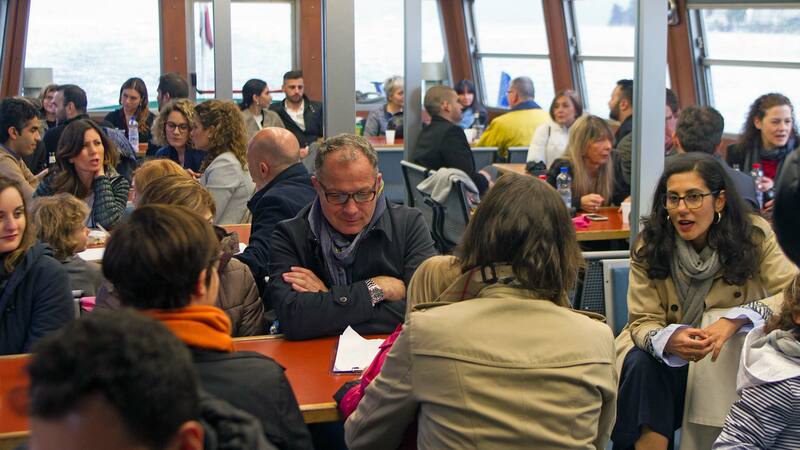 Klaus Peters: Mr. Ritzen occupies himself intensely with the customs and cultures of his sales area. That serves him in good stead with his negotiation skills. He always has a clear idea regarding the price and warranties. Above all, he is a good listener and capable of taking the right consequences. Franz-Josef Ritzen: Klaus Peters is a German oak tree for all of us: robust and resilient. I already look forward to his 90th birthday. Ah, but I’ll then already be 70!